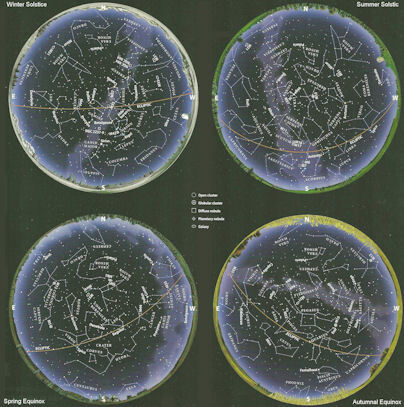 the sky of the Northern Hemisphere in January into two quadrants one facing North, the other South. 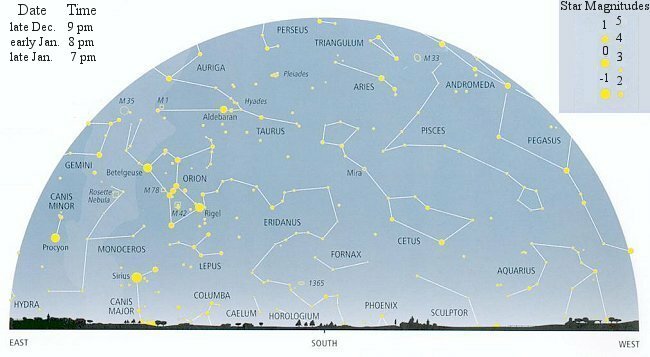 It has a legend to show the various objects in the sky and the apparent magnitude of the objects. Figure 08-01l shows the Northern sky at 50o latitude at midnight for the beginning of the four seasons. 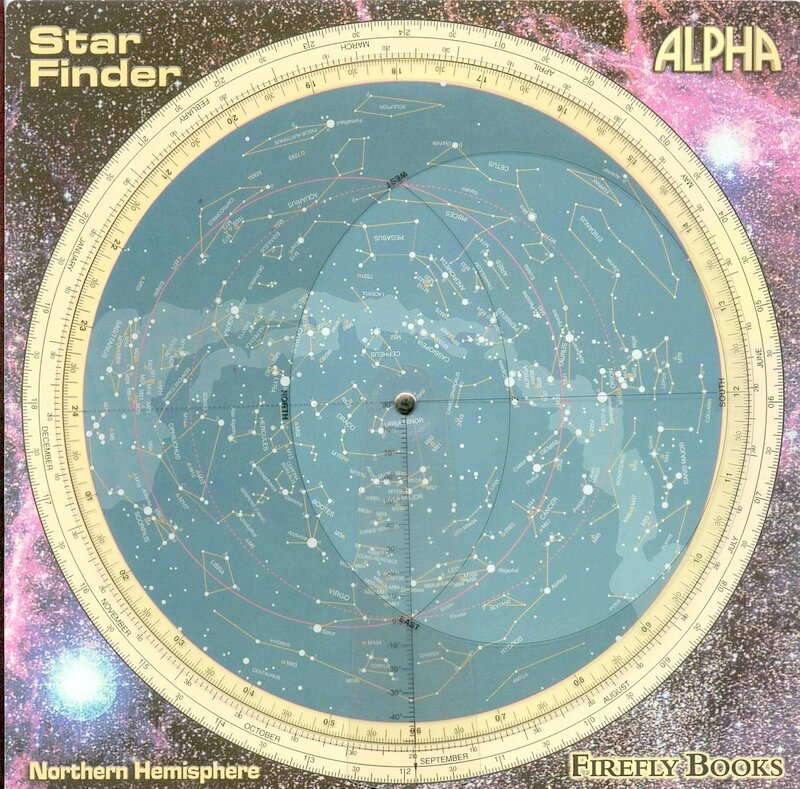 An one piece sky chart plots the sky with the North Pole at its center (see Figure 08-01m). An oval opening in an overlapping disc represents the heavens as seen from a certain latitude, e.g., 45oN. The time and date of viewing can be selected by rotating the disc around the center. This particular view is set at 22:00 h, January 20. 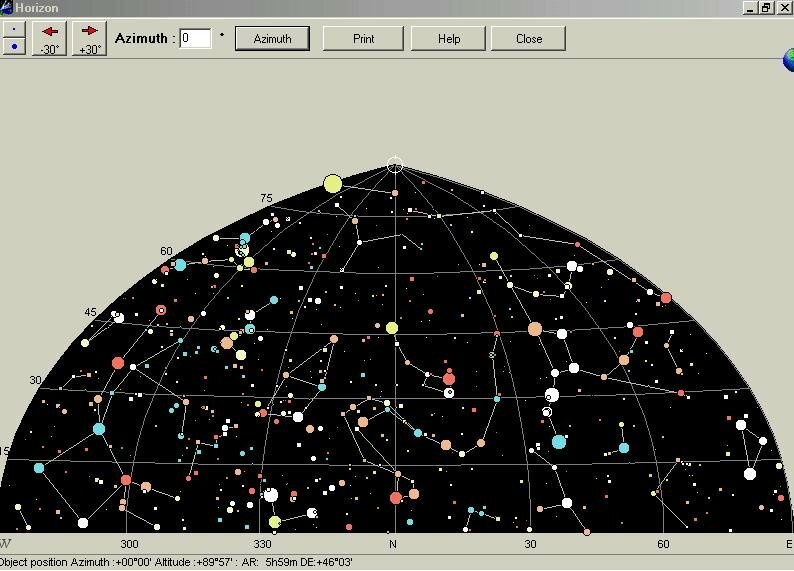 The transparent cursor scale (from -50o to 90o) is used to calculate the declination of celestial objects. The right ascension is marked at the outer-most circle. The East and West are switched in the chart. It will show the correct direction by rotating 180o when it is held over head to compare with the actual sky view. clicking the pointer (such as NGC2539 in the sample chart). 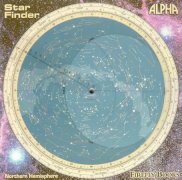 Figure 08-01o shows the same chart in horizon coordinate facing North. 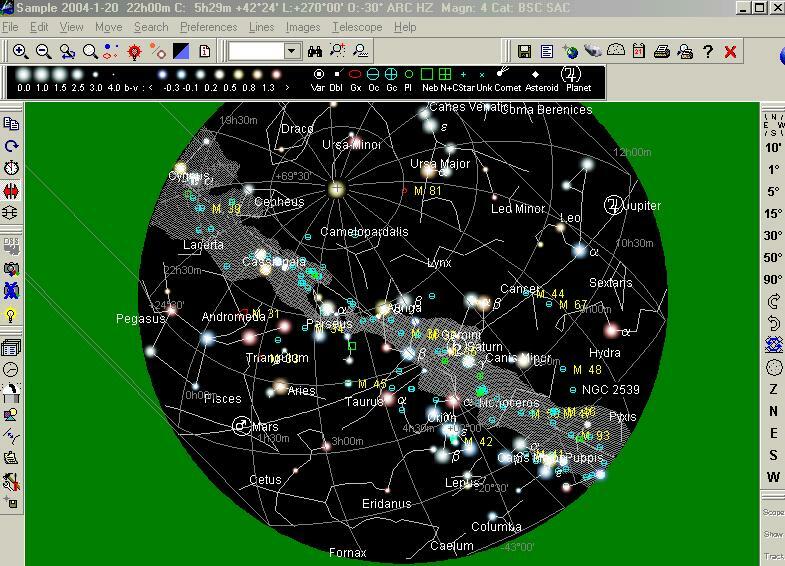 This free sky charts software is offered by Cartes du Ciel.